In accordance with the provisions of Articles 6-III and 19 of Act No. 2004-575 of 21 June 2004 on confidence in the digital economy (LCEN), these legal notices are brought to the attention of users and visitors to the site: BTSCPI.FR - BTS Conception de Produits Industriels. Access to and use of BTSCPI.FR - BTS Conception de Produits Industriels is subject to the following legal notices and applicable laws and/or regulations. the site (site title) is edited by Virgile VALETTE domiciled at 26 rue des Saulniers 49080 Bouchemaine (France), https://www.btscpi.fr/contact.php as site administrator and publication director. the site is hosted by 1&1 Internet SARL whose head office is at 7, place de la Gare BP 70109 57201 Sarreguemines Cedex (France), +33 9 70 80 89 11, hostmaster@1and1.fr . all Internet users who browse, read, view and use the site BTSCPI.FR - BTS Conception de Produits Industriels are considered users. Any reproduction of articles, news, posts, various documentation or posts on the BTSCPI.FR - BTS Conception de Produits Industriels forum must include a citation of the source with a direct link to the original. for visitors: nickname, IP address, email address after formal acceptance in a contact form, comments, forum. The hosting of the site data BTSCPI.FR - BTS Conception de Produits Industriels is provided by 1&1 Internet SARL whose head office is located at 7, place de la Gare BP 70109 57201 Sarreguemines Cedex (France), +33 9 70 80 89 11, hostmaster@1and1.fr. 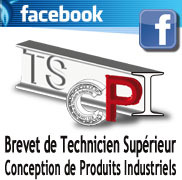 The editor of BTSCPI.FR - BTS Conception de Produits Industriels ensures the processing and protection of data, he can be contacted through the Contact page of this site. On the site BTSCPI.FR - BTS Conception de Produits Industriels, the https protocol is used, an admin protection is set up, the update is applied to each release of a new version of GuppY for a better protection of personal data. for visitors: GuppYConnect5, GuppYCookie5, GuppYCrypt, GuppYScreen, their lifetime is the duration of the connection. for service users: GuppYPost5 (blog, forum, guestbook, news, recommendations, reactions to articles), GuppYPref5 (registration, connection, administration), GuppYContact5 (advanced contact), GuppYAdmPref5 (administration), GuppYConnect5 (connection, administration).